The cacao plant is in danger of disappearing due to warmer temperatures and drier weather. UC Berkeley in cooperation with Mars, Inc. is experimenting with a new technology, known as CRISPR to modify the DNA of the plants. This will enable the seedlings to survive the warmer climates if the experiment is successful. 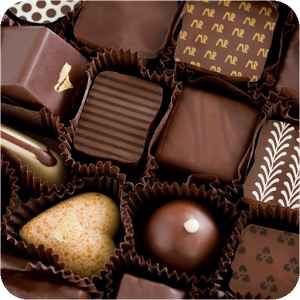 This is being done because it is believed that the shortage could lead to complete disappearance of chocolate by 2050. Mars, Inc.has made a $1 billion pledge towards reducing it carbon footprint by more than 60 percent. The plan is dubbed "Sustainability ina Generation". In an interview with Business Insider Barry Parkin, Mars' chief sustainability officer, said "There are obviously commitments the world is leaning into but, frankly, we don't think we're getting there fast enough, collectively." Jennifer Doudna is the geneticist who invented CRISPR and is the overseer of this effort with Mars. She believes that this technology will influence the food we eat everyday. "Personally, I'd love a tomato plant with fruit that stayed on the vine longer," she said. Gee. What will happen to Valentine's Day if they don't save chocolate?